Tauranga’s port will continue to “flourish” regardless of whether Auckland’s port moves, city leaders say. But some warned infrastructure investment was needed to make that happen. 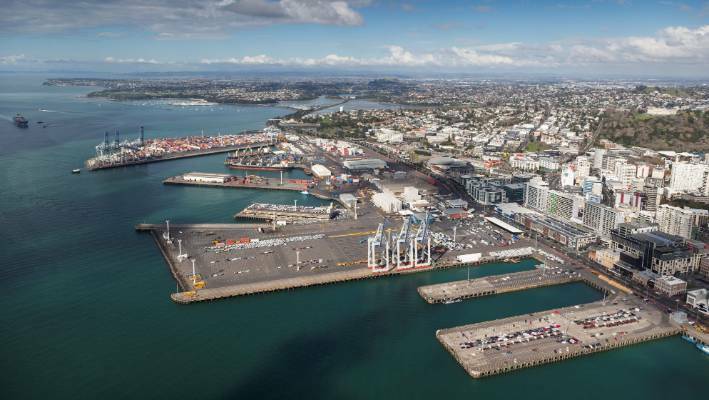 The comments come as the Government is poised to make a big call on whether or not to shift Auckland’s port to the economically-deprived region of Northland. It followed New Zealand First leader Winston Peters vowing to move Ports of Auckland up north in 2017 and a Labour-led coalition Government leading a study into the three Upper North Island ports with a focus on moving Ports of Auckland to Northport at Marsden Point. An interim report on that study by a working group headed by Wayne Brown, a former Far North mayor, had been provided to ministers and was due to go to Cabinet shortly. Ports of Tauranga chief executive Mark Cairns said nobody had seen the recommendations yet, but he believed Tauranga’s port would continue to perform well whatever the outcome was. He believed the port’s strong growth would continue due to Tauranga’s location as the origin of a majority of the goods exported out of the port are located south of Auckland, not north. The port owned a half share of Northport, he said. Tauranga mayor Greg Brownless said if the shift happened, it would not happen for some time. Tauranga’s port would become busier if it did, due to its good reputation throughout Australasia, he said. He did not think any increase in activity at the port would be short-lived as it had the capacity for double the number of containers currently moved there. Congestion caused by inadequate roading would become an issue if Tauranga’s port did get busier, so investment into the city’s state highway, roading and rail network would be vital to cater for any increased freight activity around the city, he said. He said the port would need to ensure the benefit would be shared with the community. Bay of Plenty Regional Council regional transport committee chairman Stuart Crosby said it was too early guess what the impact would be, but he was confident Tauranga’s port would continue to operate successfully regardless of what happened up north. The Government, however, did need to invest “billions of dollars” in infrastructure to keep up with the port’s development. This excellent article from the Shipping Gazette helps to explain the enormous supply chain difficulties being faced this year. Start with the bottom page. Four of the new DL locomotives arriving at the Mount Maunganui railyards yesterday, hauled by an earlier member of the class. 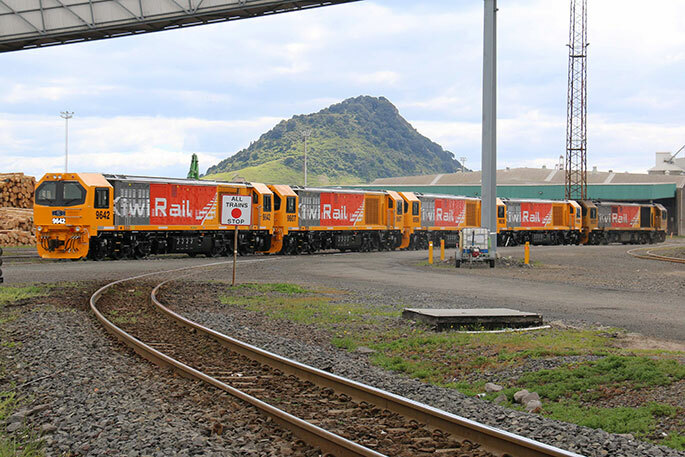 The latest batch of KiwiRail’s new DL class diesel electric locomotives has arrived at the Port of Tauranga. The 15 engines, ordered in 2016, are joining the 48 the national rail operator already has on its books, bringing the total number in the class to 63. The first DLs arrived from Chinese manufacturer CRRC’s Dalian Locomotive Works in 2010. After unpacking and initial testing at the Mount Maunganui KiwiRail yards, the locomotives will be transferred to Hamilton to be commissioned. They’re expected to see service on all main lines in the North Island, including the East Coast line through Tauranga, and the North Island Main Trunk. The move to add a further 15 locomotives to the DL fleet was made by KiwiRail following its controversial decision to mothball the Main Trunk electrification, which is still expected to go ahead despite opposition from environmental groups and unions. KiwiRail also raised eyebrows in deciding to stick with the Chinese manufacturer after earlier units of the class suffered from unreliability and asbestos contamination issues. Last year the incoming Labour-led Government pledged to direct KiwiRail to reverse the decision to discontinue using electric locomotives on the Main Trunk, and has been criticised for not as yet acting on its promise. The state-owned company said however that it needed the new locomotives regardless of the electrification issue to replace ageing engines in its fleet. Pipi beds die and algae blooms, but iwi are repeatedly told ‘there’s nothing to see here’, writes Graham Cameron. When the Tainui canoe entered Tauranga harbour a millennium ago, it had the misfortune to run aground on a then prominent sandbar called Ruahine that sat below the waterline between Matakana Island and Mauao. Pāpaki tū ana ngā tai ki Mauao, i whānekenekehia, i whānukunukuhia, ka whiua reretia Wahinerua ki te wai, ki tai wiwi, ki tai wawa, ki te whai ao, ki te ao mārama. You may well hear that tauparapara at our marae, but you won’t see the Ruahine sandbar if you walk Mauao. By 1970 the sandbar no longer existed. It’d been destroyed in the process of widening and deepening the harbour and entrance for the establishment of the Port of Tauranga. Our church is progress, and in the Bay of Plenty, the megachurch is the Port of Tauranga. Megachurches tend to not so much follow the law as create the law; the news that the Port of Tauranga has operated without a consent for stormwater for the past 27 years came as no surprise to tāngata whenua in Tauranga Moana. The Port of Tauranga is a shining city on the hill. It’s the engine that drives almost everything here. Logs, kiwifruit, steel, palm kernel, coal and containers all flow in and out, like the lungs of our economy. Cruise ships visit in increasing numbers – loved by local retailers, despised by locals who remember a time when it was all for them. The port is jobs, but not great jobs: casual, no longer zero hours but definitely not certain hours, de-unionised, long shifts and efficiency first. The port is jobs and the Port of Tauranga has kept bread on the table for many of our old people and our whanaunga since its inception. For all intents and purposes, the Port is a religious idol in our privatised, profit, growth and market driven New Zealand. And like all true and holy idols, it’ll brook no opposition – it’s central to the power of the political and economic elite. The Port of Tauranga is 54% owned by the Bay of Plenty Regional Council. The designation ‘regional council’ means that the 54% owner of the Port of Tauranga is also responsible under the Resource Management Act 1991 for managing the effects of using freshwater, land, air and coastal waters by issuing resource consents. For example, resource consents for stormwater discharge from ports. Where parties fail to get a consent or follow the conditions of a consent, they can be fined or prosecuted. In 27 years of stormwater discharging into Tauranga harbour from the Port of Tauranga, the Bay of Plenty Regional Council has never fined or prosecuted the port. The past 27 years are a series of false starts. The first consent lodged in 1998 never went anywhere because the port was slow in providing information requested by the council. The Regional Council then tried to couple the port’s consent with another for the Tauranga City Council. That failed because they couldn’t agree on who was liable for what discharge. Then it was revealed that Beca, contracted to do the consenting by the port, had lost the paperwork. The third application was lodged in 2013, but apparently nothing happened because of five years of consultation. We are now onto the fourth application. It is unlikely the port will be compliant this year. When Radio New Zealand’s Checkpoint investigated this, everyone seemed disappointed with themselves, but not exactly up in arms. Stormwater doesn’t sound all that worrying. And the stormwater runoff from the Port of Tauranga is not notably toxic. David Culliford looked into the stormwater runoff at the Port of Tauranga in his 2015 thesis ‘Characterisation, potential toxicity and fate of storm water run-off from log storage areas of the Port of Tauranga’. As best as anyone can tell, it’s all within acceptable limits, but Culliford’s work is clear that requires more research. The runoff from the log storage includes bits of wood, resins, chemicals and at times raw effluent. The runoff can slightly lower the pH of the water which is shown to affect the development and behaviour of marine life. There are periods of acute toxicity, particularly from raw effluent during storms. The runoff is detectable to over 60 metres, indicating there’s likely a wide spread of whatever impacts exist. At the moment there isn’t a good base of research as to the impact of dredging on sedimentation and toxicity. Which led to the conclusion that all is essentially well. But sit at a table during a hākari at any of our marae, and we all know something is wrong. Pipi beds disappear. That’s not abnormal, but the increasing regularity and the size of the beds that have disappeared is a change. There are places where you don’t collect pipi anymore because they’re unsafe. There’s so much more sea lettuce than we ever had before. Algal blooms are normal; we are often told we can’t eat our kaimoana. Most people just ignore the warnings. And we’re told by our Port and our councils that it’s normal, that it’s seasonal, that it’s always been like this. It hasn’t always been like this. The uncomfortable reality today is that the Port of Tauranga is too big to be allowed to fail and we can’t afford to stop its growth and development. You will hear few voices calling to limit the Port of Tauranga. Neither their majority shareholder the regional council, nor the local community given how many Mums and Dads have shares in the port, nor iwi. Our iwi have not held the Port of Tauranga to account. Our lines of defence are quite literally in the sand; we have never halted anything the port wanted to do. If we are to be honest, we have always come around to an agreement with the port. The last instance was dredging that was consented in 2012 where the shipping channel was deepened by three metres to allow cargo ships with nearly double the capacity into our port. This was only two years after the Rena had run aground on the Astrolabe Reef. As the consent was being considered, a cargo ship carrying logs lost power in the channel and threatened running onto the rocks of Mauao. The dredging at that time included the removal of a section of Panepane, a large pipi bed off Matakana Island. Even in this instance, as iwi we followed our normal pattern: bold statements and threats of protests; submissions against the consents; the consent granted and challenged at the Environment Court; our agreement to a new oversight committee, some scholarships, the opportunity for shares, and research that will confirm there is nothing to see here. All of us in the Tauranga Moana community bow our heads to our local religious idol. However passionately we love our harbour and our environment, in the end we are willing to accept the assurances of the Port of Tauranga that they have this under control. We hold these things to be true: the Port of Tauranga will protect the marine environment for us and provide excellent returns every year. No stormwater consent can pretend to stand as a barrier to such an expression of collective faith. No fine can be allowed to tarnish the reputation of our regional economic saviour, washed clean by the millions of trays of kiwifruit. As we splash at the water’s edge this summer, we will look across to the white steeples of the cranes, and smile at our tamariki, warning them not to eat the pipi because of the algal bloom. And we’ll tell them, don’t worry, everything is going to be alright. Port of Tauranga chief executive Mark Cairns welcomes the government’s review of the upper North Island logistic and freight systems but says there isn’t enough demand to justify moving Ports of Auckland to Northport. He also sounded a warning about proposed legislative changes to employment law. Earlier this month, the government announced a five-member working group would conduct a review to ensure New Zealand’s supply chain is fit for purpose in the longer-term and indicated the review will include a feasibility study to explore moving the location of the Ports of Auckland, with “serious consideration” to be given to Northport. Cairns told BusinessDesk that Port of Tauranga welcomes the “greater focus” on the issue and noted “there is an issue of capital discipline in the port sector,” with some ports getting a return on equity as low as 2 percent. In June the auditor general said a variety of accounting treatments used by the country’s port companies makes it hard to compare and greater alignment would increase transparency. The port sector generated an average return on equity of 8.9 percent in the June 2017 year, however, returns by individual companies ranged between 2.3 percent and 26.1 percent, according to the auditor general. Port of Tauranga seeks a minimum return of 8.5 percent after tax on major capital investments. Regarding any changes to infrastructure – such as moving Ports of Auckland – “it has to be a rational decision for what the import and export demands are for the country and there just isn’t the trade demand in Northland,” Cairns said. He emphasised the need for the review to have a clear picture of import and export cargo demand across the nation. Port of Tauranga has a 50 percent stake in Northport. The other 50 percent is held by Marsden Maritime Holdings, which counts Ports of Auckland as a 19.9 percent shareholder. Regarding his overall confidence in the economy, Cairns said Port of Tauranga is keeping a close eye on any fallout from geopolitical tensions as it could potentially impact demand. Earlier the company said it operates in a complex environment with many factors outside its immediate control. Port of Tauranga shares gained 3.4 percent to $4.92 after it said net profit rose to a record $94.3 million in the year to June 30 from $83.4 million a year earlier. Container volumes lifted 8.9 percent to nearly 1.2 million twenty-foot equivalent units, and overall cargo was up 10.2 percent to almost 24.5 million tonnes. The full year to June financial results for New Zealand’s two largest ports were poles apart, with the Port of Tauranga posting a 13% profit gain while Christchurch’s Lyttelton Port Company’s profit declined 16.6%. Port of Tauranga, New Zealand’s biggest port company, posted a 13% rise in annual profit, driven by record cargo volumes, and said it is planning to expand capacity. Conversely Lyttelton Port Company’s annual profit fell as strike action and costs of hiring additional staff outweighed higher revenue. At the Port of Tauranga revenue increased 10.9% to $283.7million and net profit rose 13% from $83.4million a year ago to $94.3million. At Lyttelton Port Company, revenue rose 7% to $122million, but lagged behind the $126million flagged in its statement of intent, while net profit fell 16.6% from $14.4million to $12million. Forsyth Barr broker Suzanne Kinnaird said Tauranga delivered a “strong result”, in line with expectations, with its underlying profit gain of 123% driven by cargo growth of 11%. “Port of Tauranga has recorded a second year of meaningful earnings growth, driven by cargo volumes,” she said. Tauranga’s container volumes lifted 8.9% to nearly 1.2million twenty-foot equivalent units (TEUs), and overall cargo was up 10.2% to almost 24.5million tonnes. Tauranga’s chief executive Mark Cairns said in the annual report the company’s expansion programme to accommodate larger vessels, coupled with New Zealand’s buoyant economy, resulted in the 10.2% increase in cargo volumes. Volumes lifted across all major cargo categories, with export logs up 14.3% in volume and dairy products up 4%. Tauranga paid a final dividend of 7c, taking total dividends to 12.7c, up 13.4% on a year ago. Mrs Kinnaird noted capital expenditure guidance of $60 million was ahead of expectations and was “cautious” that continued cargo growth would be sustained, and might decline in the financial year ahead. Lyttelton Port Company chief executive Peter Davie said its revenue increase was mainly driven by the port’s container terminal and MidlandPort, its inland port at Rolleston. Profitability was impacted by strike action, hiring additional staff in the container terminal to meet customer demand, and more investment in health and safety, he said. 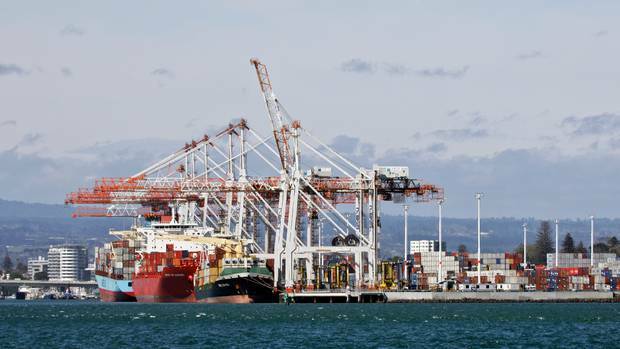 The port company did not say whether it would pay a dividend to the Christchurch City Council. It paid $8million in dividends in 2017, and had targeted a 2018 payment of $1million in its statement of intent. Container volumes rose 5.7% to 424,560 TEUs and would have been higher, but industrial action in March and April reduced TEUs by about 10,000. The company said yesterday it gained resource consents that would allow the infrastructure development required to manage the forecast doubling of Canterbury freight volume during the next 15 years. “It was vital we obtained the resource consents that permit dredging of the harbour shipping channel to deepen and extend it, [and] the expansion of the container terminal land area at Te Awaparahi Bay,” Mr Davie said. These two developments were crucial for the port to grow Canterbury’s trade. The dredging programme meant larger container ships would be able to call at Lyttelton. “At the same time we will expand the reclamation by 24ha and construct a new 700m container wharf,” he said. Port of Tauranga’s hub port strategy is gaining momentum, with growing cargo volumes and increased transhipment driving record results in the year to 30 June 2018. New Zealand’s largest, fastest growing and most productive port saw container volumes increase 8.9% to nearly 1.2 million TEUs , while overall cargo volumes increased 10.2% to almost 24.5 million tonnes. • Final dividend of 7.0 cents per share brings the total ordinary dividend to 12.7 cents per share, an increase of 13.4% on the previous year. In addition, a special dividend of 5.0 cents per share will be paid. New Zealand’s busiest port, Port of Tauranga Limited (NZX:POT) today announced record annual earnings as freight volumes continue to increase and shippers utilise its hub port status. Group Net Profit After Tax for the year to 30 June 2018 increased 13.0% to $94.3 million. Good performance from our subsidiary and associate companies saw earnings lift 11.9% to $16.4 million. The results were lifted by increased volumes across all major cargo categories, including export logs (up 14.3% in volume) and dairy products (up 4.0%). Transhipment, where containers are transferred from one service to another at Tauranga, has grown 23.3% in the past year, demonstrating the entrenchment of the ‘hub and feeder port’ model in New Zealand. “This growth is a direct result of Port of Tauranga’s six year investment in building capacity to accommodate larger vessels,” says Port of Tauranga’s Chair, David Pilkington. “We completed our capacity expansion programme in 2016 and the effects were almost immediate. We are seeing larger container vessels, as well as larger bulk cargo and passenger ships,” he said. With the fast container service connections between Tauranga and North Asia, North America and South America, shippers in Australia and New Zealand have increasingly been using Tauranga as a hub port. Containers transhipped from other New Zealand ports grew 54.7% compared with the previous year. The Port now handles 40% of all containers in New Zealand. New Zealand’s importers and exporters are within easy reach of Port of Tauranga’s national network of ports, inland freight hubs and logistics services. The Group has interests in Northport in Whangarei and PrimePort Timaru, as well as operating inland ports at Auckland and Rolleston near Christchurch. The Company today announced a further special dividend of 5.0 cents per share as part of its ongoing plan to return up to $140 million to shareholders. This is the third year of a four-year capital restructure plan. Directors have also declared a final ordinary dividend of 7.0 cents per share, taking total ordinary dividends to 12.7 cents per share, a 13.4% increase on the previous year. The record date for entitlements is 21 September 2018 and the payment date is 5 October 2018. Shareholders have received an annual equivalent return of 22.4% since the Company listed in May 1992. Imports increased 13.7% to 9.0 million tonnes and exports increased 8.2% to 15.4 million tonnes for the year ended 30 June 2018. Total ship visits increased 5.8%. Log exports increased 14.3% to 6.3 million tonnes. Sawn timber exports also increased 10.3% in volume. Forestry products are still fetching record prices internationally. Dairy product exports increased 4.0% to 2.3 million tonnes. Imports of dairy industry food supplements increased 18.2%, and fertiliser imports increased 16.4%, reflecting a strong sector. Other primary product sectors also fared well, with frozen meat exports increasing 11.3%, and apples increasing 20.9%. Cement imports increased 18.9% while steel exports increased 25%. Oil product imports increased 9.3% and other bulk liquids increased 39.9%. 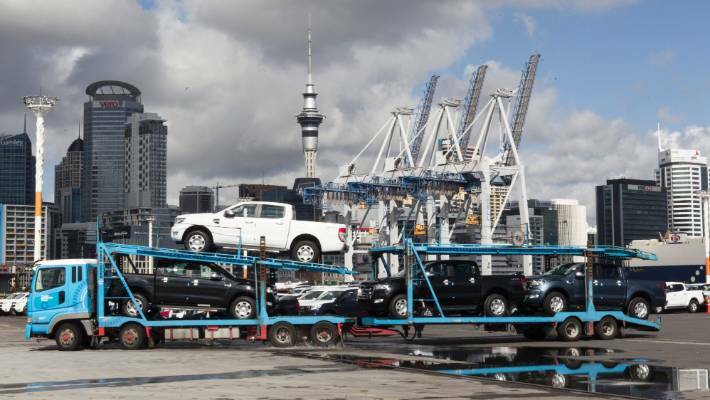 The number of cars and other vehicles imported at Port of Tauranga doubled compared with the previous year. Whilst kiwifruit volumes were down 5.8% due to a seasonal drop in green kiwifruit, an increasing proportion of kiwifruit are being shipped via refrigerated container. The number of TEUs increased 27.6% compared with the previous year. Port of Tauranga Chief Executive, Mark Cairns, said a ninth container crane had been ordered for delivery in 2020. Port of Tauranga’s container terminal now has 2,634 refrigerated container (reefer) connection points, which are supplemented in the peak season with 12 generators each supplying power to 35 containers. “We believe we have the largest reefer capacity in Australasia demonstrating the significance of the volumes we are handling,” said Mr Cairns. The Port also opened a new purpose-built coolstore at Mount Maunganui to handle kiwifruit and other chilled cargoes. The Port maintained its industry-leading record for productivity, with a net crane rate for the year to 30 June 2018 of 35.5 moves per hour (compared with the reported national average of 33.5 moves per hour and Australian rate of 28.9 moves per hour). Mr Cairns said the injury frequency rate among the Company’s staff reduced by 2% to 5.6 per million hours worked, whilst the Company’s contractor injury frequency rate reduced nearly 70% to 9.3 per million hours worked. The Company has launched a wellbeing programme for all Port of Tauranga employees. Port of Tauranga has appointed an Environmental Manager and is making use of technology to reduce carbon emissions and improve energy efficiency, including introducing electric vehicles where possible. Stormwater management is a current priority, and infrastructure improvements continue as a long-running resource consent application for the Mount Maunganui wharves is dealt with via an independent commissioner. The Company has also undertaken a comprehensive, independent carbon emissions audit to set targets for future reductions in emissions. We continue to support forestry industry efforts to reduce the amount of methyl bromide used at the port ahead of the 2020 deadline for 100% recapture of the fumigant. We are encouraging exporters to de-bark logs prior to arrival at the wharves to reduce the need for fumigation. Port of Tauranga is proud of its industrial relations track record and works hard to maintain productive employment relationships with our staff and unions. It is salient that more than 90% of our staff are shareholders in the Company. The Company has made a submission opposing certain aspects of the Employment Relations Amendment Bill. “Specifically, we believe the repeal of the ability for employers to opt out of Multi Employer Collective Agreement (MECA) negotiations breaches international conventions,” said Mr Cairns. Port of Tauranga continues to be concerned about the impact on New Zealand’s land transport network of further sub-economic investments being made or contemplated by other New Zealand Ports. This is not just an issue for the sector, but the economy as a whole. “We support the Auditor-General’s advice to port companies to use fair value valuations to ensure major capital investments are properly justified. Port of Tauranga seeks a minimum return of 8.5% after tax on major capital investments;” said Mr Cairns. Port of Tauranga has commenced planning for the next stage of capacity expansion. The Company has approximately 40 hectares of undeveloped, port-zoned land available for future expansion. There are options to extend the quay length on both sides of the harbour, using Port-owned land south of the existing berths. Port of Tauranga operates in a complex environment with many factors outside its immediate control. “We have implemented the policies, processes and practices we need to deliver superior customer service, economic benefit to our communities and strong returns to our shareholders,” said Mr Cairns. “We expect cargo growth to continue in the next year across most categories, and particularly containerised cargo,” he said. Guidance on full year earnings will be provided at the Annual Shareholder Meeting on 17 October 2018. Newly appointed KiwiRail chair Greg Miller has also been appointed to a five-member working group charged with writing a new upper North Island supply chain strategy to guide the government’s desire to integrate port, rail and road transport infrastructure planning for the country’s economic and population epicentre. The Ministry of Transport is close to announcing the five person group, to be chaired by former Northland mayor and health board chairman Wayne Brown, which will advise on a range of major transport and infrastructure issues, including “the current and future drivers of freight and logistics demand, including the impact of technological change; a potential future location or locations for Ports of Auckland, with serious consideration to be given to Northport”; and “priorities for other transport infrastructure, across road, rail and other modes and corridors such as coastal shipping”. A Northport redevelopment could include refurbishment and extension of rail freight services into Northland and to NorthPort, and could ultimately include moving the Royal New Zealand Navy’s Devonport base to Whangarei. Miller’s appointment to the KiwiRail chairmanship was announced yesterday after he resigned as chief executive at Toll Holdings on Monday and was heavily backed by State-Owned Enterprises Minister Winston Peters against initial objections from the Treasury and Finance Minister Grant Robertson. The state-owned rail company is therefore changing both its chair and deputy, with both Trevor Janes and Paula Rebstock respectively stepping down, and its chief executive following the announcement last month by current KiwiRail CEO Peter Reidy that he was taking up a senior role at Fletcher Building. That decision is understood to have been prompted by the planned appointment of Miller, who was CEO at KiwiRail’s predecessor, TranzRail, at the time it was sold back to the government by Toll in 2008. Also on the working group is a former TranzRail group general manager, Noel Coom, in another sign of NZ First ministers Peters and Shane Jones’ determination to inject deeper knowledge of transport and logistics into government thinking on transport and infrastructure. Susan Krumdieck, a professor in mechanical engineering at Canterbury University with long experience consulting for local government, government departments and community groups on transport, energy and future demand projects will also join the supply chain working group, along with Sarah Sinclair, a construction and infrastructure specialist for law firm MinterEllisonRuddWatts. “A system wide review of the Upper North Island supply chain is important because about 55 percent of New Zealand’s freight originates in or is destined for, the Northland, Auckland, Waikato and Bay of Plenty regions,” the MoT’s explanation of the working group says, noting its recommendations could include “investment in the regions, and that the government might need to invest”. No timetable has yet been set for outcomes from the study, the terms of reference for which were agreed last December.